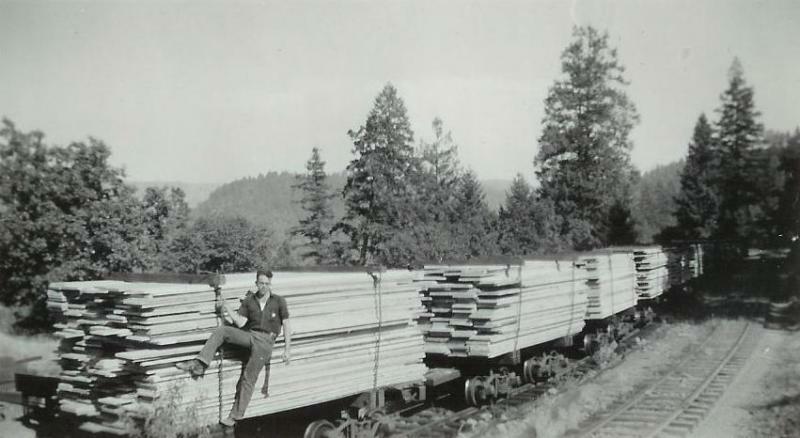 Freerails > Model Railroad Forums > Railroad Books > 'Pino Grande' - Logging Railroads Of The Michigan-California Lumber Co.
'Pino Grande' - Logging Railroads Of The Michigan-California Lumber Co.
OK, here's a link, once again on ABE. Every narrow gauge/logger should have this one. Mich Cal is one of my favorites...aerial tramway, wild trackwork, and little #2, the Deuce...what more can I add. By R S Polkinghorn. PS-the second edition (soft cover) has more photos and info not shown in the original printing. I know this because I have both. I should have explained the above photo a bit. 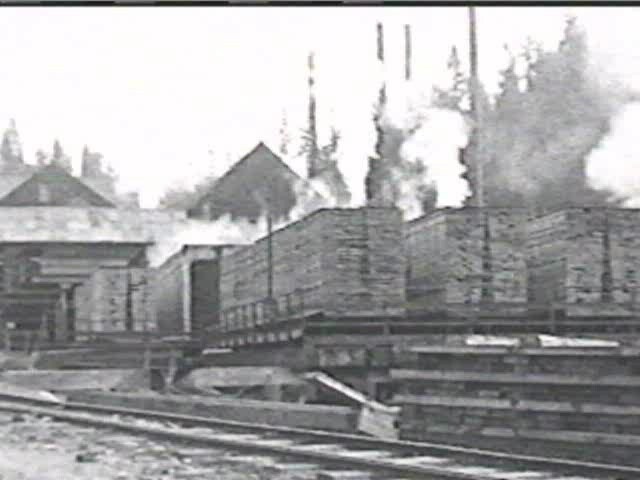 The cars of sawn-lumber shown are a bit unusual for shipping timber; right ? 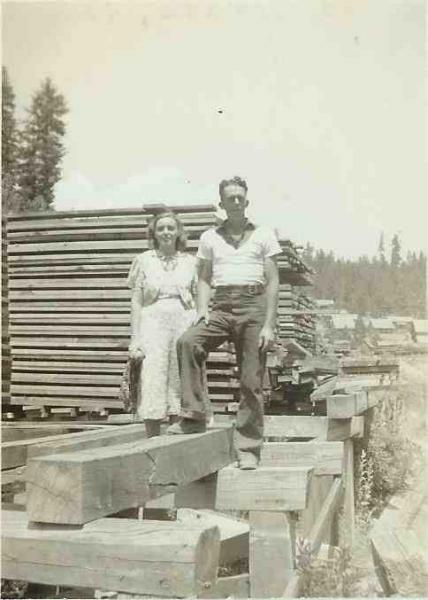 The sawn-lumber was loaded onto these cars; to travel on the INSANE Mich. Cal. cable-car; out of the logging area, & to the market. EVERYTHING had to go, one-way or-another, across on the cable-car. ...and then re-assembled on the other. Pictures of the cable-car; give me the SHIVERS ! But hold on tight ! The aerial tramway...quite a sight I am sure. I remember many years ago at a national NMRA convention, a gent had built an HO scale/HOn3 gauge model(s) of the tramway, north & south towers. The tiny cars were transported between the towers (which were dioramas with track, etc.) over about a 20 foot "chasm" between a couple of tables. Just an incredible thing. I believe he described this in a NG&SL a few years back. Needless to say, the model won every award they had to offer! So, yes, a working model of the Mich-Cal aerial tramway could be built...how much space do you have for one? ...to get full/empty cars, on/off the layout; like a car float. Romance & Redwoods ! at the Mich. Cal. Good idea Si, but the aerial job could really only handle 1 car at a time so the ops session might go on for a long time with just one car at a time being moved/staged. But then time isn't money in our world and the job could be filled by a new operator or one who runs trains off the rails. Might work...at that! I saw that guy's working tram model in the Gazette, first as a stand alone model and later after he incorporated it into his layout. Very cool indeed. Ray, we saw the model at an NMRA national in St. Louis(?) many years back. The dioramas were set up on tables about 10' apart or so and the little carriages went back & forth. The fellow won best of show and a bunch of other awards...as he should have. Amazing modeling. Nope ... the Mich. Cal. did it ! B&W from back in the day, at Pino Grande.